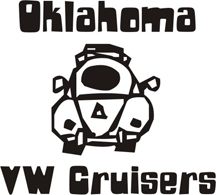 oklahomavwcruisers.tk will STILL bring you to the NEW location, BUT if youve bookmarked the page AFTER the RE-Direct youll need to update it. THe new location…. Move will occur after the Larry's Cruise. Last bumped by vdubjim on Mon Sep 08, 2014 2:47 pm.